The Legal Innovation Centre was established in 2016 with the support of key industry stakeholders. 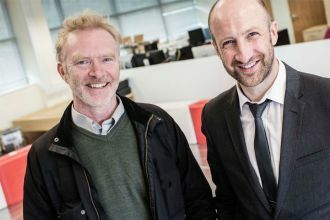 A pioneering collaboration between the School of Law and the School of Computing and Intelligent Systems at Ulster University, the Centre promotes and supports innovation in legal services and access to justice. Innovation is more than just technology - it is the pursuit of improvement. For us, innovation harnesses new methods of designing, thinking, creating and delivering legal services and promoting access to justice. We approach innovation from a design-thinking perspective, grounded by a robust understanding of the evidence base. Engaging in collaborative research and development through partnership with stakeholders in order to capitalise on the benefits of innovative approaches to legal practice. The Legal Innovation Centre is at the forefront of understanding and facilitating the innovation of legal services. We welcome opportunities for collaboration, partnership and knowledge-exchange, and look forward to working with you to enhance the work of the legal services profession and to promote access to justice. Our Development Strategy 2017-2019 details the work priorities of the Centre as well as the way in which the Centre contributes to the University's overall 5 & 50 Strategy. Legal Innovation Centre staff maintain an online resource for legal innovation. It contains lots of information and news about legal tech. Check it out here and sign up to the newsletter to stay in the loop. 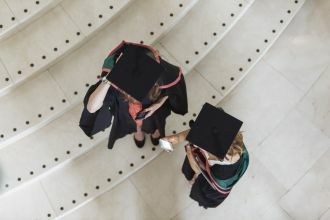 Ulster University was included, for the first time, in the prestigious Times Higher Education ranking of the top 150 universities under 50 years old. We are a modern and dynamic university, enabling a cohort of almost 27,000 students to meet their personal and professional ambitions. Students at Ulster University are among the most satisfied in the UK according to the 2015 National Student Survey, in which the University achieved 89% on the overall satisfaction score. In addition the 2014 Research Excellence Framework identified Ulster University as one of the top 25% of UK universities for world-leading research, based on research power. 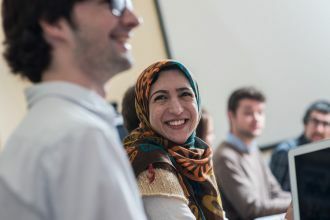 Ulster University Law School has world renowned expertise in Human Rights and in Clinical Legal Education, coupled to a developing focus on Legal Technology. It marries a focus on research excellence in an applied sense, with an ethic of providing highly employable skilled graduates. In the most recent UK wide audit of research excellence it placed overall 4th in the UK, and 1st in research 'impact' – a measure of the social significance and value of research undertaken. These results eclipse those of other larger and more resourced Schools. In line with the broader University mission it actively seeks out industry collaboration in order to influence social change in a positive direction. Research in Computer Science and Informatics at Ulster University is carried out within the Computer Science Research Institute (CSRI), established in 2004 as part of Ulster's institutional research strategy. The CSRI currently comprises 45 academic staff, together with research associates and research fellows, and approximately 100 doctoral research students. Within the CSRI, there is a strong emphasis on research output quality, with frequent publication in the leading academic journals and conferences. Much of the research within CSRI is supported by highly competitive awards from external funding bodies. Our funding from the EU Framework 7 programmes also remains well above the UK average for the discipline. The Intelligent Systems Research Centre, ISRC, is a research group within the CSRI. 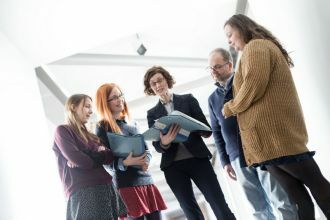 The group was founded in 1997 and is currently composed of 30 academic staff and 28 research students, some of whom are funded directly from industry. Ulster University Legal Innovation Centre team, advisory board and expert panel. Our Expert Panel is composed of a wider circle of interested colleagues. The Advisory Board is composed of invited representatives who oversee the work of the Centre.